Many great folks already use their garage door for work and for play. Wouldn’t it be nice to do both while not being pestered by bugs and such? No, we are not just talking about closing your garage door. We are talking about garage door lifestyle screens. It is the fresh air from the great outdoors without the annoying bugs and other pests. It is just like a porch but usually bigger and better. If you have kids, it is a great way to keep a close eye on them while not getting down and dirty with them outside. Working on the car has never been so easy! Those annoying flies will never bother you again while changing your oil! Maybe… you just want to chill out and take some time off in your garage. If you are worried about this interfering with your garage door, don’t. These screens have aluminum framing that is 2×2 in a durable pattern. Not only are they long lasting but they are safe! The Lifestyle’s spring-loaded counterbalance style system makes it very easy to operate the screen and takes away the pain and light bill cost of an electric opener. This screen offers the optional door-within-a-door feature. This allows for easy entry and exit into your garage. When down, the Lifestyle screen takes up the same positioning as your garage door. There is no other garage door screen that offers this kind of range of great features. The truth is, you are done looking for a garage door screen system that fits all your needs. Why? Because this one does. There really are no downsides. There is no high cost of maintenance. The screening is very high quality and durable in its own right. It is perfectly fine to have one of these in combination with kids and pets. You’d literally have to take an ax to do this garage door screen serious damage. It would be wise not to test that, though. Overall, this is a great garage door-related investment if you like spending vast amounts of time in your garage. On a site note, this does not replace your existing garage door. It does work with most if not all garage doors. We have yet to see it not. These things can even withstand the force of a category three hurricane. So, there is little you have to worry about! Want To Get a Garage Door Lifestyle Screen? Well, it may be tricking buying one and getting it installed. Many garage door services want to rake your wallet and bank account of cash for this sort of thing. Not Clarks Garage Door & Gate Repair, though! We will give you the best price possible on the Lifestyle Screen for Garage Doors. We will also offer you the lowest rates around for garage door screen installations! 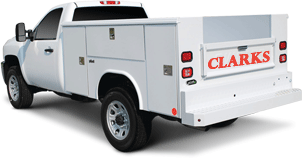 It is as simple as calling Clarks Garage Door & Gate Repair at (877) 622-8183. We know how bad you must want one of these, so don’t hesitate to call us anytime!